While there are many possible variations, most dictor fits fall into one of two categories. The first is the combat dictor - this involves fitting your interdictor 'as intended' with weapons, tank and tackle supported by a single bubble launcher. The combat dictor tends to be a popular choice for sabres thanks to their versatility and high damage potential, and is usually preferable in small, light gangs or solo where the additional damage and tackle provided by a combat dictor is more significant. To get an idea of how the different dictors perform in this role, check out my Know Your Enemy article on the subject. The second common option is the fleet dictor, epitomised by the well known double bubble cloaky fit ('DBC' from here on). This kind of dictor fit focuses solely on interdiction, giving up its own damage output and mid-slot tackling capability in order to maximise its effectiveness as a bubbler (some fits may still include weapons and tackle mods, but due to the way a cloaky dictor flies these are rarely used on a target). As the name suggests, this kind of dictor fit includes two bubble launchers along with a prototype cloaking device, allowing it to drop multiple bubbles in rapid succession and cloak up when threatened. Aside from the modules mentioned above, the rest of the fit is generally optimised for tank and speed - you can see an example fit here. DBC dictors are very popular for larger gangs, and are the fit of choice for most dedicated dictor work. Not all dictor fits land clearly in one of these two categories - many will fall somewhere between the two. Some pilots fit single bubble combat dictors with a cloak, others fit double bubbles and no cloak, or even something radically different; a famous example that comes to mind is PL's dual plated afterburning erises, which used logistic reps and low signature radius to keep the dictor alive rather than the usual combination of of speed and cloaking. For the most part, the techniques in this article do not rely on any particular fit - so long as you have a bubble launcher fitted, everything in this article should be relevant. Your dictor bubble has a radius of 20km (making it 40km across in total) and will be centred around whatever position you were in when you launched it. The bubble is launched the instant you activate the module much like a scan probe, and becomes active immediately (even though the bubble graphic expands fairly slowly when launched, from a game mechanics perspective the bubble is actually at its full size the moment it goes up). Your dictor bubble will remain in space for 2 minutes after which time it will disappear. Unlike anchored bubbles, dictor bubbles cannot be locked. They can however be destroyed by area of effect weapons like bombs and smartbombs. Your dictor bubble will appear on the directional scanner and overview as a 'warp disrupt probe'. Your bubble launcher has a base cooldown of 2 minutes, which is reduced by your interdictors skill level down to 1 minute with interdictors 5. This means that it is possible to launch a new bubble before your first one has expired even with only a single launcher, maintaining constant coverage over your target area - this is called 'rolling bubbles'. Launching your bubble is an aggressive act and will give you a 60 second aggression timer, preventing you from docking or going through gates (effectively, launching a bubble is treated as shooting yourself). You will also get a 60 second aggression timer every time someone attempts to warp from inside your bubble, regardless of whether they are friendly, cloaked, etc. The only exception is t3 cruisers with the Interdiction Nullifier subsystem - since they effectively ignore bubbles, they will not give you an aggression timer when they warp from within your bubble. You do not get an aggression timer when someone lands in your bubble, providing they do not subsequently attempt to warp out of it. When you're starting out as a dictor pilot, I recommend that you simply don't bubble unless the FC asks for it. Not bubbling when you should have can mean a lost kill, but bubbling when you shouldn't can mean a wiped gang. After a while, you'll begin to get a feel for when a bubble is needed and when it is not. Once you have some experience with using dictors, you can begin to use your own judgement. Some FCs may prefer that dictor pilots only ever bubble on command, so when flying with a new FC it's usually worth asking. Still, an experienced dictor pilot will probably understand the capabilities of their ship better than their FC does, so even if you're not actively bubbling you can be preparing to do so in advance of the actual command. When operating on your own judgement, it's important to understand the risks of an unplanned bubble - potentially trapping your fleet (or even worse, just part of your fleet while the rest warps off), in addition to giving yourself an aggression timer which can potentially leave you vulnerable and separated from your gang. Whenever you make a decision to launch a bubble, consider these risks. For example, if an enemy gang has been reported nearby and you suspect that your own gang may need to warp out in a hurry if they show up, trapping your gang in a bubble would usually be a bad idea. If the bubble is not time-critical (e.g. to catch the pod from a solo target that your gang is currently killing), it's often a good idea to ask the FC before you do so. In situations where it is time critical (say, grabbing a hostile straggler who just broke gate cloak) you might need to make a spot decision by yourself. Finally, always call 'bubble up' when you drop a bubble. It may seem obvious to you, but the last thing you want is the FC attempting to warp the gang off when you've just dropped a bubble on half of them. Even if you think everyone knows, call it. This is especially true if you accidentally drop a bubble - don't just keep quiet and hope nobody notices it, by doing so you're just begging to get people killed. Always call your bubble. Let's start with a simple scenario - your gang is on a gate, and you're expecting a target to come through. Incoming ships will appear 12km off the gate model in any direction, and the gate models themselves are usually a good 5-10km across (or more with region gates). On a normal (i.e. system or constellation) gate, the best place for you to be is as close to the centre of the gate model as possible. If you just hit approach on the gate you'll rarely be central, and it's fairly common for someone to decloak on the far side of the gate to you and end up just outside of your bubble. Look at the gate, and manually pilot your ship to get it as close to the centre of the model as you can get it. Click here for a visual explanation. If your gang itself is not on gate or is holding at range (i.e. they are not in a position to decloak you), a good alternative option is to position yourself between 2000m and 2500m from the gate (that is, within jump range but outside of the range at which you'd get decloaked by the gate), and then cloak up. This doesn't give you as much coverage of the gate as setting up centrally would, but it does mean that any incoming ships will be unaware of your presence when they come through, as well as leaving you with an easy escape route should you need it (simply don't decloak, or if you do get decloaked just jump through). Obviously if you don't have a cloak, this is a moot point. When dropping your bubble on a gate, there are two ways to go about it. In most scenarios, you should drop your bubble as soon as ordered (or as soon as the hostile gang starts coming through), and then immediately get yourself safe (unless of course you're a combat dictor and will be proceeding to apply scram/web/dps to the target, in which case you should simply get ready to tackle once your opponent(s) decloak). Since dropping your bubble will give you aggression and thus prevent you from going through the gate yourself, the most effective way to reach safety is to burn quickly away from the gate and either cloak up or warp off to an on grid bookmark until you're needed. This gives you the best chance of survival; when that hostile gang comes in you'll make a very juicy target - fragile, aggressed, and right in the middle of their fleet. Get safe, and you'll live to bubble again. In a combat fit dictor, make a judgement call based on the target coming in as to whether you're better off staying safe, or contributing your tackle and dps to the fight. A second, alternative method is generally used for solo targets, in particular targets which are fast enough to escape from bubbles before you could catch them. In this scenario, if you dropped your bubble as per the above then your target would simply see the bubble go up, and choose to burn out or reapproach the gate as they saw fit - in a fast enough ship, this is relatively easy to do. Instead, it's usually more effective to hold off on your bubble (including remaining cloaked if possible) until the target has decloaked; as soon as they decloak, deactivate your own cloak and then pop your bubble. If no bubble is up when your target comes in, they will often attempt to warp straight from cloak rather than powering away first, hoping to escape before your tacklers can lock them. If you drop your bubble after the target has initiated warp but before they actually enter warp (i.e. while their ship is still aligning), their warp command will be cancelled and the target ship will stop aligning unless ordered otherwise, giving your fleet a few more valuable seconds to tackle them before they can react. Obviously this leaves you as the dictor pilot more vulnerable, and so it is not recommended when engaging a larger force. Should a ship lands on the side of the gate that you're on, you can simply go through and bubble on the other side to catch them (if you do so, just make sure someone remains on the original side to prevent your target from simply warping off instead). While dropping your bubble immediately after going through ensures that your target gets no opportunity to warp out before the bubble goes up, it will also mean that your bubble only covers part of the potential area in which your target could appear, since you will have been 12km off gate when you dropped it. This is one of the times when a double bubble dictor can be really handy - you can drop one bubble immediately, power towards the gate, and then drop another on it (or even better, just the far side of it) to improve coverage. If you only have a single bubble, I recommend burning towards the gate and waiting with your bubble until the target decloaks (if they panic and hold their cloak, you may even have time to set up right on the gate). Remember that you're vulnerable until your gang comes through to support you, so try to avoid getting yourself killed but also (if you have tackle fit), do what you can to keep your target from escaping the bubble. Remember to call it if the target appears to be reapproaching the gate - the last thing you want is for your gang to come through just as the target jumps back the other way! Bubbling on a large regional gate is generally ineffective - you may catch a target depending on where they appear, but it takes something in the region of 6 HIC or dictor bubbles to fully cover a regional gate. Bear this in mind if you're setting up any kind of static camp, and choose a smaller gate in order to maximise your chances of success. The aim of fleet bubbling is simply to drop bubbles on an opposing gang in order to trap as many of them as possible. 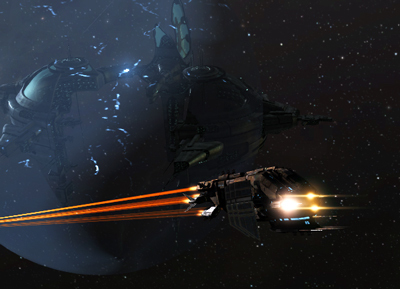 This is often used as one of the primary forms of tackle in larger fleet fights, particularly when both gangs are engaging outside of warp disruptor range. The general idea is to warp in to a cluster of enemy ships, burn through the middle of them dropping bubbles from both launchers (assuming you have two of them) to cover as many as possible, and then if possible get safe and repeat. You're going to be a primary target once you're in there, so don't sit still - get your bubbles dropped, and then get out. If you're not confident that you can get out of your bubble in time, you can attempt to cloak until a better opportunity presents itself (I don't recommend it, better to warp out if you can and then be ready to bubble again). To try pick your targets carefully - obviously you want to bubble as many ships as possible, but a bubble on a single armour tanked battleship (which is going to take a long time to burn out) is going to be much more valuable than a one covering a large number of fast support ships who can clear the bubble quickly. Additionally, try to bubble the same targets that your fleet is going to be killing, either based on the FC's currently primary calls or your own judgement given the targets available. An effective tactic is to pair up with a prober, who can scan down hostile targets and then punt you directly onto them. This is also a useful way to catch nullsec/wormhole ratters and miners in small gang scenarios; punting a dictor as initial tackle, often before the main gang is even in system. While the dictor doesn't necessarily have the survivability and long range tackle of a fleet inty, its ability to pin down a whole gang at once makes it very valuable - a single dictor on scan is much less likely to spook a group of targets than sending a tackler for each of them. Fleet bubbling, particularly in large engagements, tends to be a very high risk activity and is one of the main sources of the dictor's 'flying coffin' epithet. However a well placed bubble can have a huge impact on a fight, and it's a great feeling knowing that any ships killed in that bubble are down to you. Given their incredible usefulness, many corps will reimburse dictors lost as part of fleet engagements. Setting up a catch bubble is really easy - just warp to your destination at range (70km is a good choice, being roughly half way between the gate itself and the minimum warp distance to the gate), and bubble up. Make sure that your bubble is up before the targets you're expecting to catch initiate warp (that is, when they click that 'warp to' button) - if it isn't up at this point, it will not catch them. Drag bubbles are a little more complex - since you need to fly directly past the object that you're placing the bubble on, you will require more time to get into position and find the correct alignment (assuming you don't have a bookmark already prepared). The traditional way of doing this is to manually pilot to roughly the correct location, and then adjust your position until the gate lines up visually with the celestial which you're expecting to catch people from. This works fine, but it's time consuming, and there is a better way. An easier option (which I refer to as the fast drag bubble) is to warp to the object at range, say 10km, from the same direction that you want your bubble to catch from. 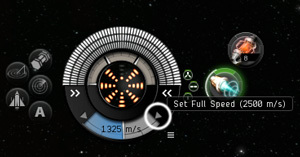 As you exit warp click the 'set maximum speed' button on the HUD (see below). This will set your ship travelling at full speed in exactly the same direction that it was facing when it came out of warp, straight through the gate and onwards. I recommend not engaging your MWD initially since there's a relatively high chance that you'll bounce off the gate and the faster you're going the further you're likely to bounce. Once you're past the gate, your ship should return to its original alignment and you're free to MWD as you please. When you reach your desired range, bubble up and you're all set. This method often doesn't look as well aligned visually as doing it by hand, but is actually very accurate - your bubble should end up almost exactly on the same alignment on which other ships will exit warp, and as a result it should catch perfectly. The main advantage of a catch bubble over a drag bubble is time - it's much faster to set up on the fly. They also make it more difficult for any targets caught by your bubble to burn to the gate, since they need to fly through the bubble in order to do so. A drag bubble on the other hand is great for disorientating your opponents - they will exit warp drifting away from the gate with nothing but your bubble in front of them, and will have to rotate their camera and then reverse their direction in order to escape. This usually results in a second or two of inaction, which you can use to your advantage. In addition, if your gang is camping the gate too then a drag bubble forces any hostiles it catches to fly directly towards the rest of your gang if they want to align out, whereas those landing in a catch bubble can burn out and away from your gang at the same time. Since a drag or catch bubble will only catch ships who initiated warp (that is, clicked the warp button) after it was deployed, timing a bubble correctly can allow you to catch only part of the hostile gang. 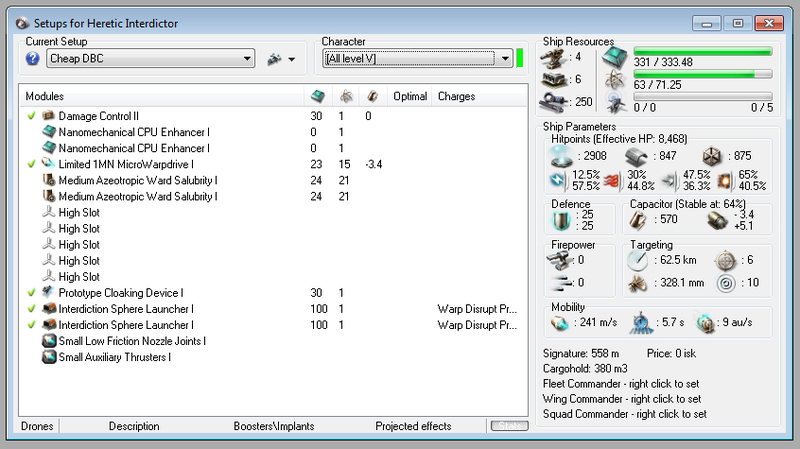 This can be used to put distance between the two halves of a gang and allow you to kill one group before the other is able to support, or to split off initial tacklers from their main dps ships. The important thing here is to have eyes on the hostile gang so that you know when they are aligning and warping, and to remember that these tactics will not work if the hostile fleet warps as single a group. The best way to go about this is to have your dictor set up in advance at an obvious celestial (either a gate, station, or the sun tend to work well, the sun is good because the hostile gang is highly unlikely to have eyes there in advance, or to warp to a bookmark when they follow you there). Get your dictor set up for a catch bubble at a distance well inside 150km from the landing spot (about 70-100km is good), and then have your fleet warp to the celestial at zero. As soon as your scouts report the first elements of the hostile fleet warping, drop your bubble - anything which initiates warp after that point will land in your bubble, rather than at zero with your main fleet. Unlike at stargates, few people make bookmarks at the sun meaning those who get caught by your bubble will take quite some time before they can back up those of their gang who didn't, and your own gang should have a significant advantage. This is great when you're fighting a larger force, because they will generally be eager to chase you and will not warp as a fleet - tacklers will warp ahead of the gang, and ships will warp themselves in order to make sure they land in time to get on the kill(s). When fighting even numbers, your opponent will usually be more cautious and is more likely to align and warp as a group. A similar tactic can also be used to control distance. Imagine your gang is set up for close range and the opponents are a higher speed kiting gang (or the other way round for that matter) - they will attempt to warp after your gang at their chosen range, whereas you want them to land at your own range instead. Have your dictor set up at zero on your chosen celestial, ready to bubble when the command is given. If you want to catch the opposing fleet at range, warp your fleet in at your chosen range and then deploy the bubble as soon as your fleet is in warp, while if you want to land at zero with the opposing fleet simply deploy the bubble first and then warp yourselves into it once it's up. A very effective example of this tactic is having a frigate heavy gang chase your smartbombing battleship into a bubble - eager to catch your fleeing battleship, the whole gang will land in range and be swiftly destroyed! Remember that since the hostile ships are going to land on the bubble, it's probably wise for your dictor to get safe as soon as the bubble is deployed. Delay bubbling is the act of dropping bubbles to slow down a pursuing fleet and allow your own to escape (or alternatively, to allow your fleet to pick off the forward elements of that fleet while the rest of their gang is strung out). The best way to do this is using a mix of bubbling gates on the far side after your fleet warps off, and dropping catch bubbles en route to the out gate (have the dictor warp to range, bubble, then burn for the gate). Drag bubbles present a problem since the dictor will be aggressed, and without a decent head start you will probably be unable to continue after the fleet and will instead be forced to get safe in that system. Bubbling after you go through a gate doesn't delay the chasing gang for as long (they simply need to burn out of the bubble rather than 70km back to a gate) however it requires much less of a head start, and usually leaves you with enough time for your aggression to cool down before the hostile gang catches up to you. This means that it can easily be repeated over multiple systems. With a long enough head start, you can even do both in the same system - bubble once you enter, and again before you leave! If your aim is to split up the chasing gang, bubbles which only cover part of the gate (which they naturally will if you're bubbling as soon as you go through) can be very effective - those who come through outside the bubble will be temped to warp after your fleeing gang immediately in order to catch you, while the rest will be forced to power out of the bubble before they can follow. This amplifies the effect of catch bubbles too, since ships will be warping individually and its easy for forward elements to be in warp before the catch bubble goes up, with the back end of the fleet getting caught by that too. Bear in mind that against high speed gangs such as nano HACs, delay bubbles of this sort are significantly less effective due to the relatively short time that it takes them to get out of a bubble, whereas against heavy gangs such as battlecruisers or battleships they tend to be far more effective. A similar tactic can be used by the chasing gang itself to catch stragglers - dictors warp very quickly (9au/s, three times as fast as a cruiser and the same speed as a combat inty), and can usually catch up to a fleeing opponent much more quickly than the bulk of your fleet can. Sending a dictor out ahead of your gang and then bubbling a portion of the opposing force (ideally the slowest portion) forces them to make a tough decision - do they stand and fight in an engagement that they don't want and aren't prepared for, or do they allow part of their gang to be destroyed so that the rest can escape? Either answer is a win for you! If you're really lucky, part of the gang will warp off before they realise anyone was caught, and then trickle back in once the fight is underway (this almost always leads to a massacre, with part of their fleet trying to bail as the rest desperately try to return and support them)! Just make sure that you as the hero dictor pilot don't get cocky and get yourself killed - remember how far back your gang is at all times, and fly as you would any skirmisher - bubble something juicy and keep yourself alive, at least until your gang shows up! Using the tactical overlay and staying zoomed out when bubbling is very helpful with situational awareness and placing your bubbles. One tactic for catching cloaky ships that are warping to your bubble is to sit on the catch point to decloak them when they land. Another use of double bubble is when trying to catch a cloaky who just jumped into your bubble on a gate. Head towards him in the brief moment he is visible, then drop your second bubble as you get closer to the edge of your bubble. With luck, he will not have gotten out of your first bubble and into warp yet, and this can give you or your fleet a few more seconds to decloak him before he can clear the second bubble. As mentioned, smartbombs can pop dictor bubbles. So let's explicitly state the implications of this. I've seen lots of caps and supers escape because bubbles were dropped too close to them. Always drop your bubble >7.5 km from caps (faction smarts) and >10 km from supers (officer smarts). A niche case of controlling engagement range is to bubble your own fleet if you think hostiles might make a bombing run at you, so they land too close to bomb and within tackle range of your fleet. This only works if the bombers will be warping to the middle of your fleet; for example if your fleet is on a gate and the bombers warp to the gate at 30 to bomb. A little trick is the bouble stop bubble: drop one bubble before the enemy warps towards you, then once they're in warp scoot to the catch point and drop another bubble. This will put the enemy in the center of a bubble rather than the edge. Great additions, thanks. Relating to bombing runs, another good tactic if you think you're going to be bombed can be to cloak a dictor up 30-40km off your fleet, aligned away as many celestials as possible celestials. If bombers decloak, you decloak and bubble up - bombers can't warp off, and die. Of course, that's more a small gang tactic when facing a handful of bombers, rather than large coordinated bombing fleets. There, it's probably more important to prevent the bombing run in the first place. Even with coordinated bombing fleets, they can never have more than 8 active bombers in a squad, so this is still a good fleet tactic. While I don't have any immediate use for the information in the article, it was nice to read and good to know a bit more about the basics of flying a dictor. You never know, I might get around to it one day and understanding how your fleetmates or enemies may react is always good. Nice additional things to think about in the comments as well. Great article, really enjoyed this. Great article. As a somewhat new dictor pilot, I found it extremely helpful. 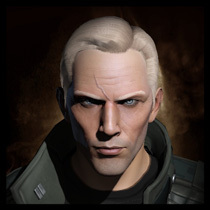 And I would also STRONGLY recommend fleet commanders read it as well, even if they never intend to fly a dictor; knowing how to use a dictor is, I think, a critical FC skill in its own right. And keep up the good work, your articles are something worth reading! It originally wasn't, then it got changed so that the dictor was aggressed. I know they announced recently that they were going to change it back again, but I didn't realise they'd already done it.